The ARX MSX48 Transformer isolated Microphone/Line Splitter has been developed to deliver the performance required by the increasing complexity of todays standards of audio production. 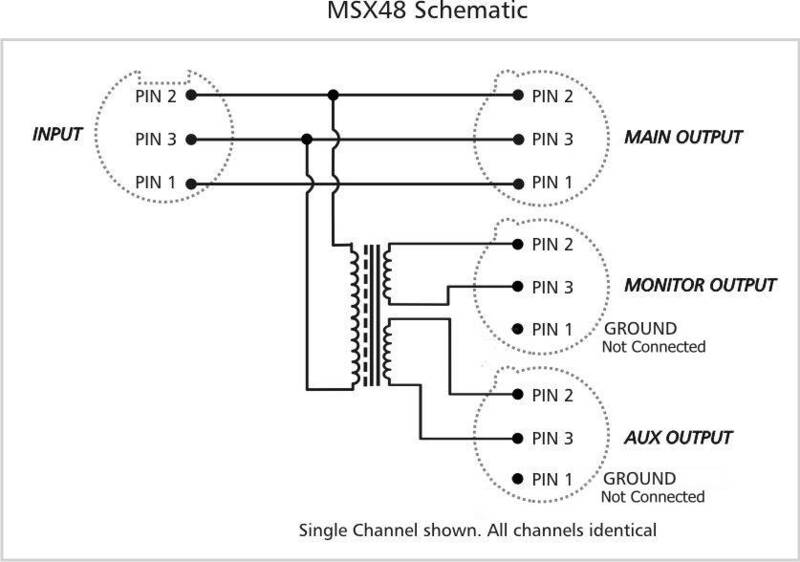 The MSX 48 is a totally passive device requiring no power, and consists of Sixteen channels of transformer isolated ultra low noise Microphone/Line Splitter. 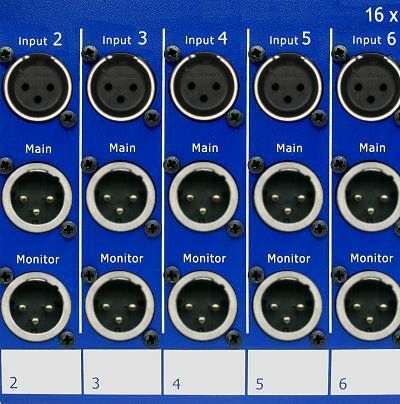 Each of these channels has a direct looped Main/FOH feed, and a transformer isolated Monitor split on the front panel. On the rear panel is an Auxiliary transformer isolated split ideal for use with a remote recording truck or TV feed. 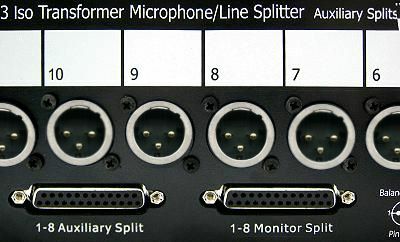 Duplicates of the Monitor and Aux splits are also provided on two sets of dual 25 pin D connectors on the rear panel, wired to Tascam wiring protocol. Numbered marker panels on the front and rear provide a space where individual channel connections can be noted. The all-steel chassis of the MSX 48 provides strong interference resistant shielding. Internally, state-of-the-art transformers deliver superb audio quality and total galvanic isolation. The MXS 48 is the user-friendly and straightforward answer to multi channel signal splitting requirements. Monitor & Aux Output 3 pin male XLR wired Pin 2 + Hot, Pin 3  Cold. Audio grounds not connected; Pin 1 is floating.